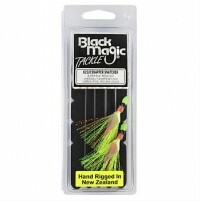 Black Magic flasher rigs are hand rigged and packaged in NZ, incorporating the best components, ensuring a quality product so you get the best results. IGFA legal for tournament use or record claims. 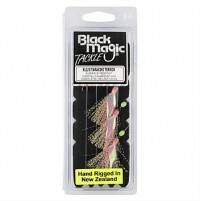 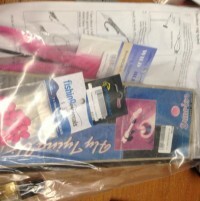 All you need to crimp up lures, deep water and kingi traces. 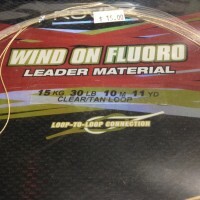 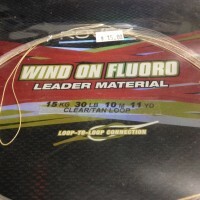 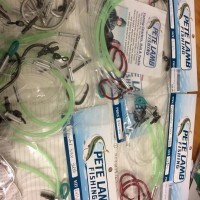 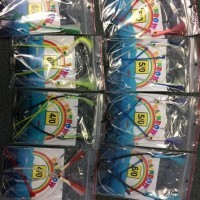 Comes with nylon, crimps, plyers, lumo tube, sleeve swivels, loop protectors and instructions. 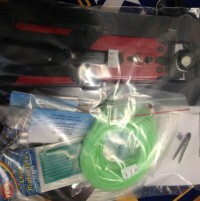 Save your self heaps from buying up premade traces. 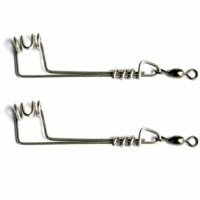 LIVEBAIT SLIDERS - Pkt of 2 Clips One Way Bait Sliding Clips. 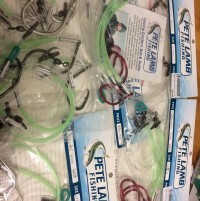 Get your livebait out into the fishing zone! 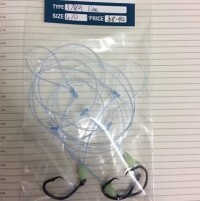 Your livebait can only swim one way.... the design of this slide-baiting clip prevents the bait from swimming back or getting washed back from wave action.